Mom has always been very clear about her Do Not Resuscitate Orders. As a nurse, she has watched too many times the struggle when patients and/or families seek to prolong life no matter the cost. Mom’s feeling is that many times they were really just prolonging death. She likes the phrase, Allow Natural Death. Semantics really. But somehow easier to understand her wishes when phrased that way. No superhuman, extraordinary artificial life support heroics. When her time is up and her body just can’t fight it anymore, she wants the right to meet death with grace and dignity. Not hooked up to ventilators, tubes and dialysis machines. And so, years ago she and Dad made an appointment with an attorney and had him draw up their living wills, durable medical powers of attorney and their Do Not Resuscitate orders. She was that sure of her decision. That was before Pancreatic Cancer. Has anything changed? Not a thing. If anything she is more adamant about her DNR than before. She knows that her cancer is terminal. There will come a time it will take her life. Doctors have amassed an arsenal of technologies to keep people alive, much of it artificially. Is that really life? In her condition, Mom doesn’t think so. A Do Not Resuscitate Order is not right for everyone, but for your families sake and your peace of mind, it is definitely worth discussing. And so, exactly what is a Do Not Resuscitate order, or DNR? It is a legal document, one of the advance directives, that patients can prepare telling their doctor and all medical personnel that they do not want to be resuscitated in the event that their heart stops or they cease breathing. If you do not have a DNR and you suddenly stop breathing or go into cardiac arrest, you will be leaving the decision up to your closest family members. All medical personnel will immediately begin CPR and intubate you. This is called a code in the hospital. 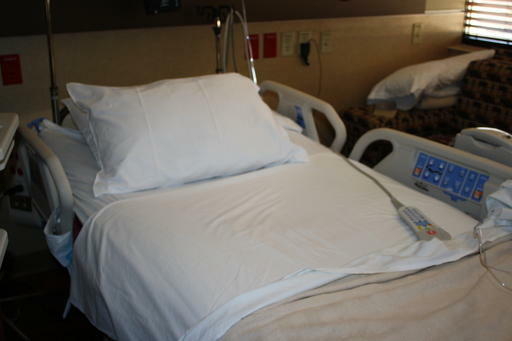 You may wake up hooked to a ventilator, catheters and feeding tubes. That is a scary, frightening, powerless feeling. Most family members when approached by hospital staff about a Do Not Resuscitate order for you will balk at signing it, even if aware of your wishes to do so. They may believe they are giving up on you and condemning you to death. That burden is just too great to bear for most. By filling out your Advance Directives and making these decisions ahead of time, you give the gift of “no remorse” to your family. The decision removed from their hands. There will be no guilt when death comes, knowing that your wishes were followed completely. *Like other complicated medical/legal care in the United States, application of DNR orders varies from state to state, especially regarding out-of-hospital (ambulance) care. Some states have standardized forms for DNR orders; if the order is not written on that specific form, it cannot be honored. Other states are less regimented, honoring any type of DNR order. Most states allow their Department of Health Agency to monitor DNR forms.Click here for a list of US Health Agencies. Once on the state website, you will need to search for Do Not Resuscitate forms. Also most lawyers will have the appropriate forms for your state. *Some DNR’s are only valid for 30 days. Some are valid as long as you live. Be sure to check that out if you have one prepared. *Once your DNR is prepared, it is wise to let those closest to you know your wishes. This gets back to the Hard Stuff to talk about. But, oh, so necessary. *But, having a DNR does not mean you want to suffer. The Allow Natural Death philosophy suggests that doctors offer comfort measures, such as pain medication and possible IV fluid/feeding. As you discuss this issue, you will be able to state exactly what constitutes “too much” life support and what you are comfortable accepting in your living will. In mom’s case, she wants comfort measures only, such as pain meds, IV fluids and feeding tube. But no CPR. Her Do Not Resuscitate Order makes that clear. These are her wishes, and we will abide by them when the time comes. Will it be easy? No, it won’t. We will pray for grace and mercy right up until her last breath. I know we will revisit this discussion, probably many times, as her cancer progresses. The DNR is not binding for life. Should mom’s wishes change, then so does the Do Not Resuscitate Order.